Reverend Antonio L. Smith, is a native of Augusta, GA. He was licensed in 1982 and ordained in 1986 by the Reverend Dr. Clyde Hill, Sr., senior pastor of the Mount Calvary Baptist Church, Augusta, GA. He received his B.A. degree in Sociology from Paine College, Augusta, GA, and his Master of Divinity degree from Hood Theological Seminary, Salisbury, NC, where he was awarded the George Clayton Tharrington Memorial Honor, an award given to the senior student who best exemplified the outstanding preaching qualities of Reverend Tharrington. These qualities included biblical preaching with evangelistic emphasis, keen imagination, creative homiletics, and extemporaneous style. 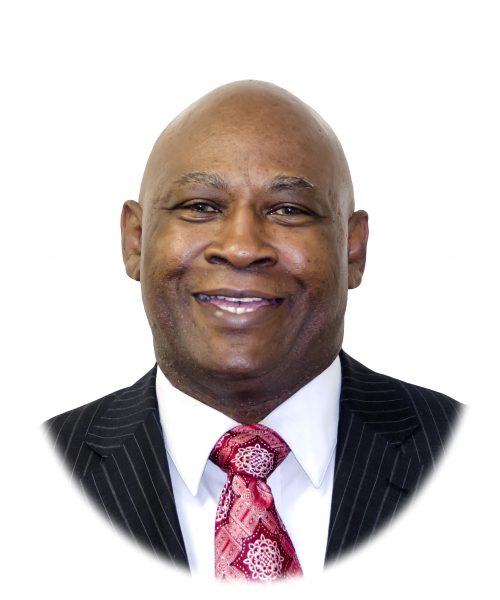 Reverend Smith has served as pastor of the following churches: Mount Moriah Missionary Baptist Church, Harlem, GA; Harmony Missionary Baptist Church, Augusta, GA; Providence Missionary Baptist Church and Solid Rock Baptist Church, both of Rockingham, NC. After serving as interim pastor since October 2017, he was called to pastor the Pleasant Hill Baptist Church, Ansonville, NC, on February 25, 2018. He humbly and gratefully accepted the opportunity to pastor God’s people who are Bible-based, Christ-centered and Holy Spirit led. For over 18 years, Reverend Smith faithfully served as an associate minister at The Park Church, Charlotte, NC, under the leadership of senior pastor, Bishop Claude R. Alexander, Jr. He facilitated Sunday school classes, taught men’s Bible study, facilitated a Ministers-in-Training class, led a small group Bible study, sang on the Kingdom Voices Choir and served as a mentor to newly licensed ministers. Reverend Smith is the co-founder of the Smith Bios Group, an organization founded to bring awareness of chronic kidney disease and its leading causes—diabetes and high blood pressure. After living with the ravages of diabetes for many years, he received a kidney lovingly donated by his wife, Pam in 2013. As a transplant recipient and an amputee he strongly believes his story needs to be told to the masses in hopes of changing the trajectory of these debilitating diseases through The Life Workshop that he and his wife conduct. Minister Pamela W. Smith was born in Washington, DC and raised in Augusta, GA. Utilizing her ministry gifts to preach and teach, Minister Smith motivates and compels believers to aim higher in their Christian walk through the study of God’s word, worship, prayer and praise. As an associate minister at The Park Church, Charlotte, NC under the leadership of Bishop Claude R. Alexander, Jr., Minister Smith served on the women’s ministry and facilitated Sunday school classes, a life group Bible study, and a Ministers-in-Training class. Minister Smith has a passion for ministers’ wives. 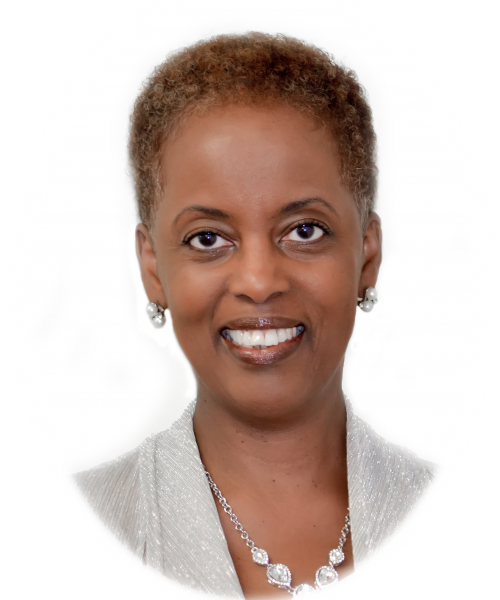 She is the immediate past president of the Charlotte Association of Ministers’ Wives and Ministers’ Widows (Interdenominational) and currently serves as president of the United Missionary Baptist Association (UMBA) Ministers’ Wives & Widows Auxiliary. Her educational experience includes teaching courses at Hood Theological Seminary entitled, “An Observation of Clergy Spouses through the Lenses of Introspection, Expectation and Misperception” and “The Clergy Spouse as Leader”. In 2013, Minister Smith lovingly donated a kidney to her husband, Reverend Antonio Smith. Fulfilling a desire to promote God’s will for his people to be holy and healthy, they co-founded the Smith Bios Group in 2015. They now travel extensively conducting The Life Workshop which tells of their unique testimony of love, healing and faith in God. Minister Smith received her Bachelor of Arts degree in Communication Studies from the University of North Carolina at Charlotte and her Master of Science degree in Strategic Leadership from Mountain State University. Currently, she is pursuing a Doctor of Philosophy in the Integration of Religion and Society at Oxford Graduate School. She treasures spending quality time with her husband of 32 years, her daughters, Nicole and Candace, son-in-law, William, and grandsons, Josiah and Elijah.